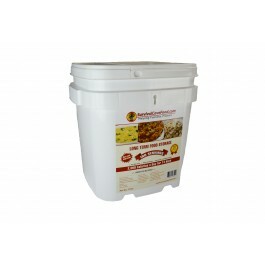 Buy Survival Cave Food - 180 Serving Bucket , from SurvivalCaveFood.com for $229.00 only in My e-commerce. This light weight freeze dried food is conveniently storable container provides 2000 calories per day for Fifteen days or 1000 calories per day for 30 days. All of the freeze dried meals are prepared to remain fresh for Twenty years. These are the very best freeze dried survival foods provided with 180 servings. These emergency freeze dried foods are great for your food storage program. You can open all these freeze dried foods and take out how many emergency food meals you want and close the packet with the zip lock top and keep your remaining freeze dried dishes for future use. One hundred and eighty adult portions Survival Cave Food fulfills every one of these with an economical, delightful and cost effective freeze dried food as well as a way to get you prepared for the unknown. • Freeze dried food that lasts for Twenty years! This light weight freeze dried food is conveniently storable container provides 2000 calories per day for Fifteen days or 1000 calories per day for 30 days. All of the freeze dried meals are prepared to remain fresh for Twenty years. Every pouch of freeze dried emergency food has a re-sealable zip lock which allows you utilize the servings you need and then reseal the pouch for future use. 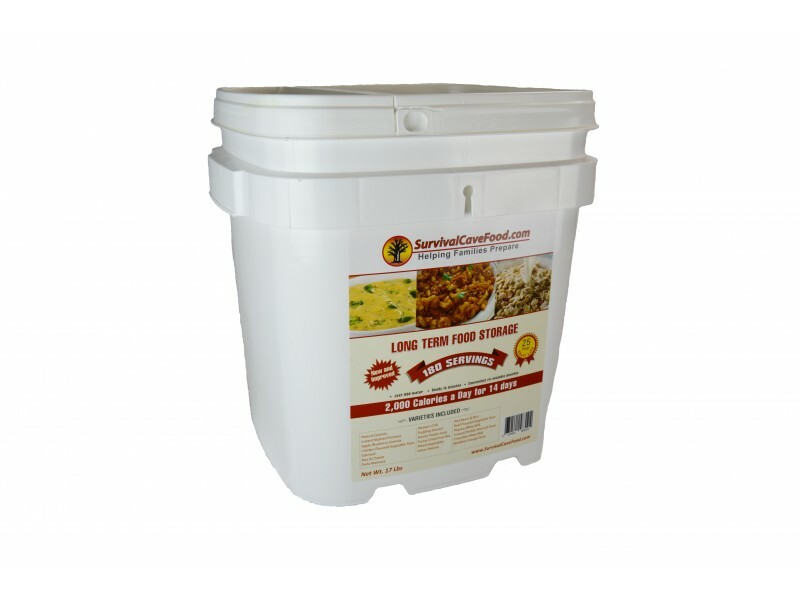 Food prices continue to go up without end in sight and this freeze dried food bucket will be your solution to safeguard your loved ones and save money on emergency food storage. Are you ready for emergencies? Do you have a good Food Storage Approach? Could there be food shortages that freeze dried food will help with? do you think you're spending too much to stock up on emergency foods you recognize you need? This light weight freeze dried food is conveniently storable container provides 2000 calories per day for Fifteen days or 1000 calories per day for 30 days. One hundred and eighty adult portions Survival Cave Food fulfills every one of these with an economical, delightful and cost effective freeze dried food as well as a way to get you prepared for the unknown. Freeze dried food that lasts for Twenty years!